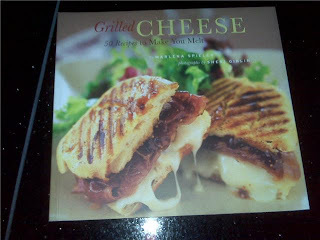 Moore Minutes: Panini Sandwiches for Summer! 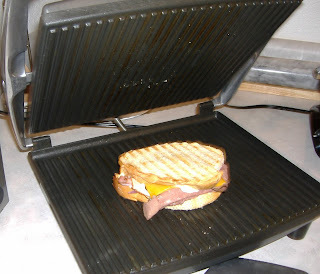 I don't use my panini grill. My talented wife does it for me. And I LOVE it when she does! 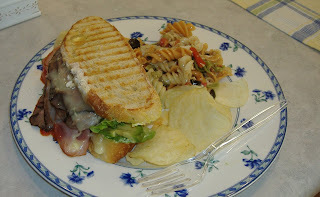 I love the idea of a panini bar! How awesome! Wow, that does sound like a great idea! And no one complains because they picked their own toppings! Brilliant! I will have to totally try this at our next gathering. We have large groups over often. My 8 year old bought us a panini grill at a yard sale for Christmas. He'll be so excited for this. Thanks! Awesome, this is going to save me some money at Panera bread ;) And what a fabulous entertaining idea. Thanks! So glad I ate lunch before I visited this post! I don't have a panini grill, but love the sandwich bar idea. I love the idea of a panini bar ... I think it's going on next week's menu plan. Thanks! What a great idea! I love the concept of letting the guests pick what they want on their sandwich. It also takes a simple sandwich meal to the next level! Thanks for the tip! !